Mic the Vegan has a degree in sustainable living and currently is pursuing a master’s degree in public health at the University of Missouri. He is also an industrial designer who designs water purification systems for the developing world. His YouTube Channel has more than 290,000 subscribers and 25,000,000 total views. This talk is presented by the Vegetarian Society of Hawaii and is free; no reservations are necessary. Food will be provided by Down to Earth in Kahului. For more information, call 385-2790 or jerome.kellner@gmail.com. The Cameron Center is at 95 Mahalani St. The Rotary Club of Kahului will welcome Walter Enomoto of Hawai’i Energy to its weekly meeting from noon to 1 p.m. Monday at Tante’s Island Cuisine in Kahului. He will speak about Hawai’i Energy’s commercial and transformational program offerings. 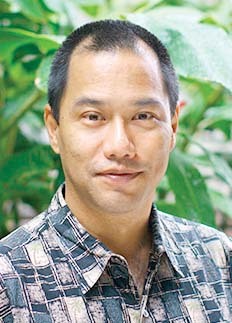 Enomoto is currently the energy adviser and Maui County manager for Hawai’i Energy. He helps to implement all the nonprofit’s energy commercial programs and processes rebate applications for energy-efficiency measures. Tante’s is located at 100 W. Kaahumanu Ave. Lunch costs $20. For more information about Rotary, contact club President Gary Albitz at 281-9672. This year’s theme for David Malo Day is Lauae O Makana, beloved gift, which is set for 5 p.m. Saturday at Lahainaluna High School’s the Boarders’ Field. The event will begin with Pa’ina, poi supper (poi, laulau, lomi salmon, fruit, dessert), followed by a sunset pageant by the Hawaiiana Club and Boarders Chorus at 6 p.m. Tickets for Pa’ina cost $20 and are available at Lahainaluna’s main office. The sunset pageant and the rest of the celebration is free. David Malo, one of Lahainaluna’s first graduates, will be honored through music, dance and good company. The event also celebrates the Boarders Chorus and the Hawaiiana Club, which was established 50 years ago. Lahainaluna invites all alumni, especially the Boarders Chorus, from 1968-69 school year and Hawaiiana Club members from 1969-70. They are also welcoming any graduates who presided as king and queen during the sunset pageants. Additionally, the LHS Class of 1969 will be holding its 50-year reunion during this same weekend, which includes Principal Lynn Kahoohalahala. For more information regarding David Malo Day or purchasing tickets, contact Lahainaluna High School through the main office at 662-4000. 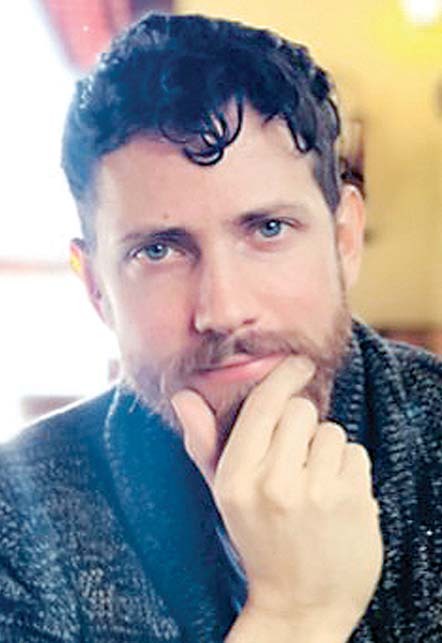 The community is invited to join the Jewish Congregation of Maui from 6:30 to 8:30 p.m. Thursday at Beit Shalom Synagogue to celebrate the scheduled landing of the unmanned Beresheet spacecraft that lifted off from Cape Canaveral in February. Beresheet is the first privately funded mission to launch to the moon. If Beresheet lands successfully, Israel will be the fourth country to land a craft on the moon. The plan is to gather together outside the synagogue at 634 Alulike St. in Kihei to celebrate with drinks and live music by Michael Elam and Bruce Boege. There will be a large screen set up inside streaming relevant news footage. Reservations for the event can be made at www.mauijews.org/event/moon-party. The office of U.S. Rep. Tulsi Gabbard, in partnership with the U.S. Department of Agriculture Rural Development Office and the U.S. Department of Commerce Economic Development Administration, will present Federal Grants 101 — a free workshop for individuals and organizations interested in learning more about federal grants and financial assistance for rural and distressed communities. The workshop will be held from noon to 3 p.m. Friday at the J. Walter Cameron Center auditorium in Wailuku. The workshop is free, but advance RSVP is required at gabbard.house.gov/rsvp or by calling (808) 541-1986. St. Joseph Church & School will hold its annual St. Joseph Feast May 3-5 at 1294 Makawao Ave. in Makawao. The opening ceremony will be at 5:30 p.m. May 3 with the event opening at 6. Attendees will find food such as Portuguese soup, malassadas, waffle dogs, chow fun, nachos, BBQ teriyaki, burgers and mocha freeze. At 7 p.m. May 3 and 4, there will be a live auction featuring golf outings and gift certificates to dinner, hotels and activities donated by businesses throughout the state. The traditional livestock auction will be held at 1 p.m. May 5. This event features local entertainment, games, crafters, a country store, plants and produce. Hours will be 6 to 10 p.m. May 3; 10 a.m. to 10 p.m. May 4; and 10 a.m. to 4 p.m. May 5. Organizers are accepting donations, crafters and entertainment. Scrip is available for sale at the parish office. For more information, contact Donna Pico at 572-7652. The Baldwin High School Class of 1969 will celebrate its 50th reunion Sept. 20 and 21. There will be a formal program at the Maui Beach Hotel on Sept. 20 and a get-together Sept. 21 at Dani’s Catering in Wailuku. Assistance is requested by organizers to locate BHS Class of 1969 alumni. For more information, contact Arleen at bhsclassof69reunion@gmail.com and visit Facebook page Henry Perrine Baldwin High School Class of 1969 Reunion. The Maui Native Hawaiian Chamber of Commerce will welcome Renolds Ikaika Fruean and Kahanu Noa during its meeting Tuesday at Maui Tropical Plantation (Tram Station) in Waikapu. No-host cocktails and networking will begin at 5:30 p.m. The duo, who are on a mission to educate keiki on the history of Makahiki, will be presenting their program of cultural preservation of the Makahiki games. The cost is $25 for member and $30 for nonmembers. For more information and to purchase admission, visit www.mnhcoc.org or phone 281-6438. Founded as Makahiki Athletic Association, the organization seeks to preserve and perpetuate Hawaiian cultural practices and to reverse negative health effects through cultural sports. Pono Life Education will help patients and caregivers learn more about medical cannabis and Hawaii’s 329 card program during a 4 p.m. event Wednesday at 415 Dairy Road in Kahului. A Hawaii medical cannabis certifying provider will be at Pono Life’s Education Center to discuss and assess patients’ eligibility for medical cannabis use. Patients with qualifying conditions who may benefit from medical cannabis can proceed to register for a Department of Health 329 card. Hawaii 329 cardholders may legally access medical cannabis at any one of eight licensed dispensaries in Hawaii. Interested participants are encouraged to RSVP at www.ponolife.net. Attendance is free and open to the public. Attendance does not guarantee 329 card certification and registration. An evaluation and discussion with a certifying provider is required to apply for a 329 card. For more information, contact info@ponolife.net. Children and families can learn the art of weaving ti leaf lei from 9 to 11 a.m. Saturdayat Hawaii Nature Center in Wailuku. This event is open to children ages 6 and older and their parents. HNC is located at 875 Iao Valley Road. The cost to attend is $20 for each adult or child. Members receive a 50 percent discount. Limited reservations are available as these are small group experiences. The St. Anthony School Class of 1959 will celebrate its 60th class reunion on Maui June 21-23. For details, contact Pat Nascimento Tavares at 281-2284 or Eleanor Keau Poaipuni at 269-5911. Nicole Fisher, Akaku Maui community marketing and community outreach coordinator, will be the guest speaker at the Rotary Club of Kihei Wailea noon meeting Wednesday at Mulligans On the Blue. Fisher will be speaking on how to use public television. American Association of University Women’s Lunch Bunch will meet at noon Tuesday at Bistro Casanova, 33 Lono Ave. in Kahului. Attendees are asked to RSVP with menu selection to Janet Walker at bjpwalker@comcast.net or call (808) 874-9435 before noon Monday. 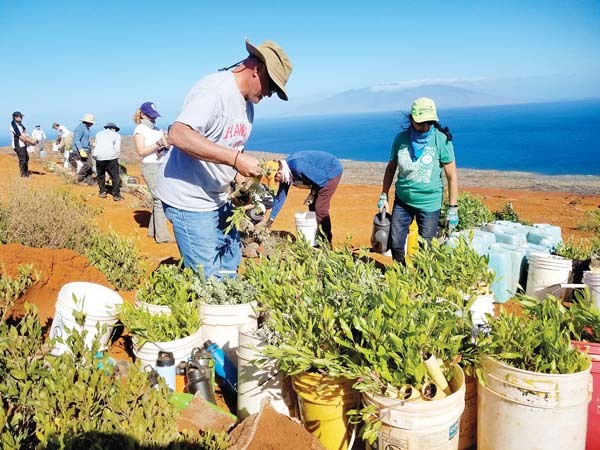 Auwahi Forest Restoration Project volunteers should meet at Ulupalakua Ranch Store on Saturday for an work excursion from 8 a.m. to 4 p.m. Due to rough, steep terrain, hiking boots that cover the ankle are required. Volunteers should pack layered clothing, rain gear, two liters of water, lunch, sunscreen and a hat. There is a limited number of four-wheel drive vehicles and limited room for volunteers. To RSVP, email volunteer@auwahi.org. “Taking Action for Our Ocean — Water Quality and Coral Reef Preservation” is the title of a free presentation by the Maui Nui Marine Resource Council at Akaku Upstairs from 6 to 7:30 p.m. Thursday at 333 Dairy Road, Suite 204, in Kahului. Speakers include Amy Hodges, Megan Edgar and Anne Rillero. They will share their latest water findings and coral report. A Q&A session will follow the presentation. “Resiliency in the Face of Climate Change” is the title of a presentation from 6 to 7 p.m. Wednesday at the Maui Ocean Center Sphere. This free presentation by Kristin Baja will focus on equitable resiliency and sets up the framework for best management practices that take into consideration all income levels and ability to afford transition to ecofriendly practices. Baja is the climate resilience officer for the Urban Sustainability Director’s Network and previously served as Baltimore’s climate and resilience officer. Doors open after 5:30 p.m.; seating is limited. Contact 270-7075 or info@mauioceancenter.com to reserve a seat. Applications are being accepted for the Bayer Hawaii Science Education Fund. The grant program is open to public schools serving students at the intermediate, high school and college grade levels on the islands of Oahu, Maui and Molokai. Established in 2005, the Bayer Hawaii Science Education Fund helps provide Hawaii public schools with programs, tools, supplies and equipment to enhance science education in the schools, and encourages today’s students to consider a future career in the sciences. To date, more than $261,000 has been awarded to schools in Hawaii. The application deadline is April 25. To download an application, visit www.monsantohawaii.com/community or 891-8830 (Maui) or (808) 553-5070 (Molokai). Hawaii U.S. Sen. Brian Schatz has announced the names of 42 students from Hawaii nominated to attend one of the nation’s service academies. The four service academies are: the United States Air Force Academy, the United States Military Academy, the United States Naval Academy and the United States Merchant Marine Academy. • Kaila Kalauokaaea-Kahele, Kahului, Maui High School — United States Air Force Academy. • Renae Lallo, Wailuku, Seabury Hall — United States Military Academy. • Benjamin Swartz, Kihei, Seabury Hall — United States Naval Academy. Service academy nominees were selected by a panel that included Allen Hoe, a decorated Vietnam War veteran and current civilian aide to the secretary of the Army for East Hawaii.